Like it or loath it, search engine optimisation (SEO) is a necessary part of your online marketing strategy. Many believe it involves gathering together a list of keywords, sticking them into a website and people will find you. Sadly it doesn’t work like that, which is why so many businesses are getting it wrong. People also have the view that SEO is incredibly complex and time-consuming. In truth, it’s not. Granted, it takes a bit of getting your head around it, but the on page stuff is easy to grasp, although you will need a web designer who understands SEO to get all the ‚behind the scenes‘ stuff right. The problem is many can’t be bothered to invest the time it takes to get to grips with what needs doing, and that’s when it all goes horribly wrong. So, what are the most common SEO mistakes that small businesses make? Identifying the right keywords is vital. That doesn’t mean stuff like luxury, responsive, professional, innovative, etc. Keywords/phrases are the things you type into Google’s search box when you’re looking for products and services. That means it’s time to slip your shoes off and slide your feet into your customers‘ shoes for a while. You have to think like them and not like someone who already knows you exist and what you do. The chances are you have a lot of competitors in the online world. Therefore ranking for generic keywords (such as copywriter, lawyer, web designer, etc.) is going to be super difficult. The best way to be effective is to keep your keywords and phrases narrow. Let’s say you sell dog collars. But not just any old collar, expensive Italian leather dog collars. Yours is a very niche market, so optimising for ‚dog collars‘ isn’t going to work. It’s a very competitive term, so you probably won’t rank very high. Plus, you’ll end up with a high bounce rate because the vast majority of the searchers will be looking for cheap and cheerful collars and not niche, uber expensive ones. That’s why your main keyword/phrase should be ‚designer Italian leather dog collars‘. There will be less traffic for these longer keywords, but that means it’s also less competitive and the traffic you get will be highly targeted and more likely to convert into paying customers. Now you have traffic you have to be able to turn it into paying customers. Check through your content. Have you used the words and phrases from your keyword research list? Are they in your URLs, page titles and first paragraphs? Has each page been optimised for a different term? The one thing you must not do is stuff your keywords into every sentence. Above all your writing should be natural. Use your keywords in your page title, headings and opening paragraph, but also mix in synonyms. Plus, it’s wise to not only use your keyword/phrase in its entirety, but also broken down – so, yes use ‚designer leather dog collar‘, but also make sure you use each word separately within your text. Another big part of SEO and one constantly overlooked, is the maintenance of your website. Broken links, page load times, duplicate content and missing tags will all attract black marks and will affect your rankings. The content on every page (and this includes your blog posts) must be unique and relevant to the targeted keywords. For some business owners, SEO is just too much like hard work. There aren’t enough hours in the day and what’s the point anyway? You don’t sell through your website; it’s just there for information. If that’s how you think, you’re missing the point. People research before they buy and that means turning to Google (other search engines are available). By ignoring your SEO, you’re ignoring a vast swathe of potential customers looking for what you offer. Even if you don’t have the time or inclination to do your SEO, there are plenty of companies out there that can help you. Granted, SEO suppliers vary in quality, but provided you do your research, you’ll find the right fit for you, your business and your budget. SEO means you’ll be more visible. SEO means you will enjoy organic growth. SEO means you’ll boost your sales. A little investment of either your time or money will have a significant impact on your business. 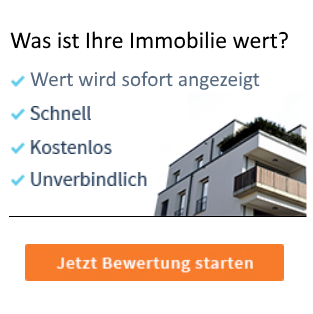 Zurück Vorheriger Beitrag: Online-Marketing-Konzeption – 2017: Der Weg zum optimalen Online-Marketing-Konzept. Digitale Transformation, wichtige Trends und Entwicklungen. Alle … SEA, SEO, Social-Media- und Video-Marketing.